Finkelstein, Maxwell W.. "Ivvavik National Park". The Canadian Encyclopedia, 25 January 2018, Historica Canada. 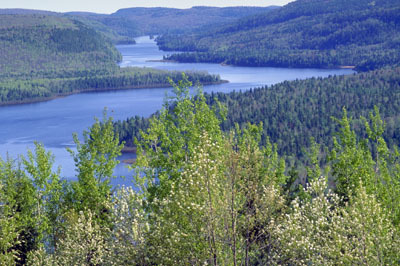 https://www.thecanadianencyclopedia.ca/en/article/ivvavik-national-park. Accessed 25 April 2019. Initially known as Northern Yukon National Park, it was given an Inuvialuit name in 1992. Ivvavik means "place of giving birth and raising young" in reference to the Porcupine Caribou herd that has its calving grounds along the Beaufort Sea coast. 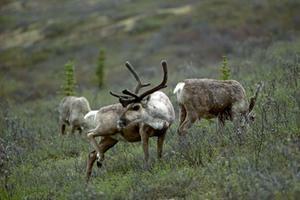 Ivvavik National Park is the calving grounds of the Porcupine Caribou herd (courtesy Parks Canada). 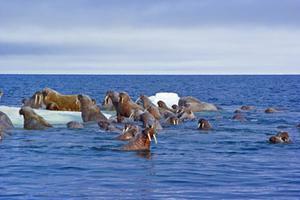 A herd of Pacific walrus in Ivvavik National Park (courtesy Parks Canada). High mountains, broad river valleys, endless tundra, and the Arctic seacoast come together within Ivvavik National Park (est 1984, 9750 km2) to create a wilderness paradise. Located about 800 km northwest of Whitehorse, YT, or 200 km west of Inuvik, NWT, it is just about as far away as you can get from anywhere. Access is usually by charter aircraft from Inuvik. Initially known as Northern Yukon National Park, it was given an Inuvialuit name in 1992. Ivvavik means "place of giving birth and raising young" in reference to the Porcupine Caribou herd that has its calving grounds along the Beaufort Sea coast. It is Canada's first park established through a native land claim settlement. 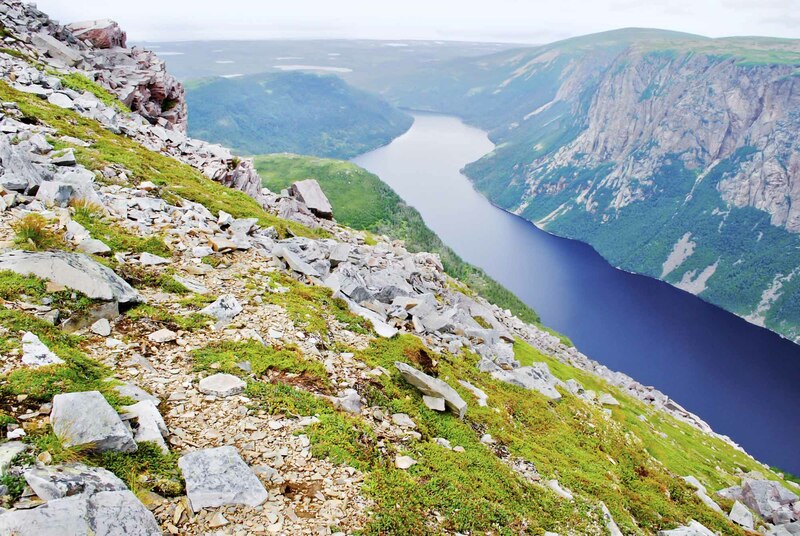 Due to its isolation, it is one of the least visited national parks in Canada. The Firth River is the centrepiece of the park, renowned for its beauty, wild whitewater rafting, archaeological sites and abundant wildlife. 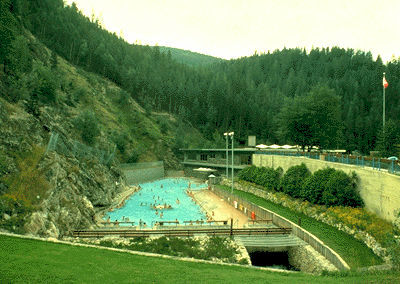 The park includes part of the British Mountains, the only extensive nonglaciated mountain range in Canada. These are rounded treeless mountains cut by smooth sweeping river valleys. The treeline runs through this section of the park, which also harbours Canada's most northerly populations of moose and Dall sheep. The Porcupine caribou herd is found within the park for much of the year. The park is contiguous with the Alaska National Wildlife Refuge to the west. Polar bear, grizzly bear, black bear, gyrfalcon and muskox are other wildlife common to this park. The rivers in the park, particularly the Babbage River, are important Arctic char spawning areas. However, much of the most critical spawning areas are outside of current park boundaries.